Advanced anti-aging therapy for mature, sensitive and/or dehydrated skin. The formula actively stimulates the renewal of the dermis and provides adequate nutrition and hydration of the cells. Placing active substances in a neutral and skin-friendly pharmaceutical substrate allows their excellent penetration and good tolerance by sensitive skin. 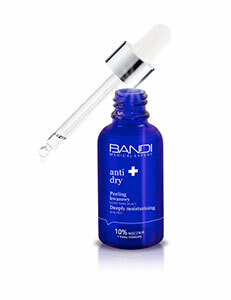 mature skin prone to dryness, with visibly lowered density, all types of wrinkles, uneven skin tone. The formula should always be used in accordance with the manufacturers indications. Apply 3 times a week as a mask at night, avoiding the eye area. For best results use with other Anti-Aging line products.